Park's Nobal Days drives to the basket against Franklin's Ron Wilson during the Panthers' 56-43 Southeast Conference loss on Feb. 21 at Park High School. 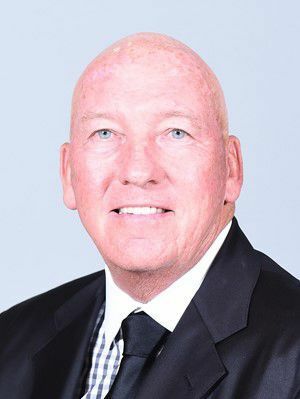 Mike Dunleavy, who signed the 6-foot-9 center from Park High School last fall, was fired Saturday after three years as coach of the Green Wave. Dunleavy, whose head coaching stops included the Milwaukee Bucks and Los Angeles Lakers, had three consecutive losing seasons after receiving a six-year contract in March 2016. Could Days see himself possibly decommitting? “Right now, I’m just taking it day by day,” he said. “I’m really just waiting to see who the next coach is. That would be unfair to decommit when they don’t have anybody. Tulane is certainly doing what they can to keep Days. And the Days family is listening. The day after Dunleavy’s dismissal, Days’ father, Al, received a call from Tulane Senior Associate Athletic Director Rob Bernardi. The reason for his call was to reinforce the school’s interest in Nobal. The bottom line is that Nobal Days is an honor student — he has a 4.1 grade-point average — who is going to college for more than just playing basketball. He was impressed with the university during his official visit to the campus last year and those memories have stayed with him. Days, a four-year starter, averaged 10.4 points, 11.2 rebounds, 4.3 assists, 3.1 blocks and 1.5 assists. Park went 17-6 and advanced to a WIAA Division 1 regional championship. Days will resume competing in track and field after playing AAU basketball last spring. As a sophomore in 2017, he placed 10th in the high jump at the WIAA Division 1 State Track and Field Championships with a height of 6-4. Tulane is terrible. Nobel will be able to play there.